Leo IV begins his reign promisingly before dying at the age of 30. He would be replaced in power by his wife Irene. We look at the rituals an Empress would be forced to go through to be accepted into the Palace to try and gain an insight into Irene’s position as regent. 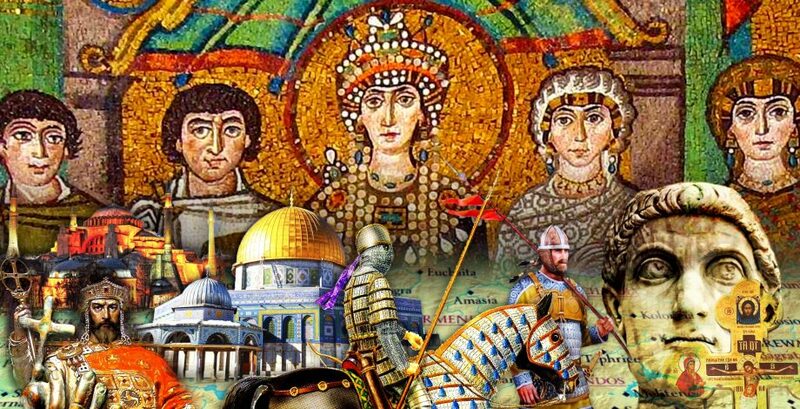 Where is Byzantine stories episode one part one. Although Iam sure it’s up to par with your regular shows, I would like to listen to one before I buy. Have you considered using patreon? It basically allows fans of various types of content (podcasts included) to support the creators through subscriptions. For example, I support two other podcasts through monthly charges. I do know about Patreon but so far I’m happy with the system I’ve got. Your description of the breadth and depth of Byzantine marriage and birth rituals was fascinating. It was bewildering and overwhelming but fascinating all the same. I am assuming that in a pre-internet, pre-mass literacy era that these ceremonies had tremendous value as propaganda, hence their length and breadth. Or was there something else at work here also? Yeah I think it was probably meant to drag as many individuals into the process as possible. So that they could all publicly show loyalty and feel they had some stake in the regime. Happy to support the show by purchasing this episode. Totally worth it!